Everyone loves the sweet taste of raspberries at any time of year. 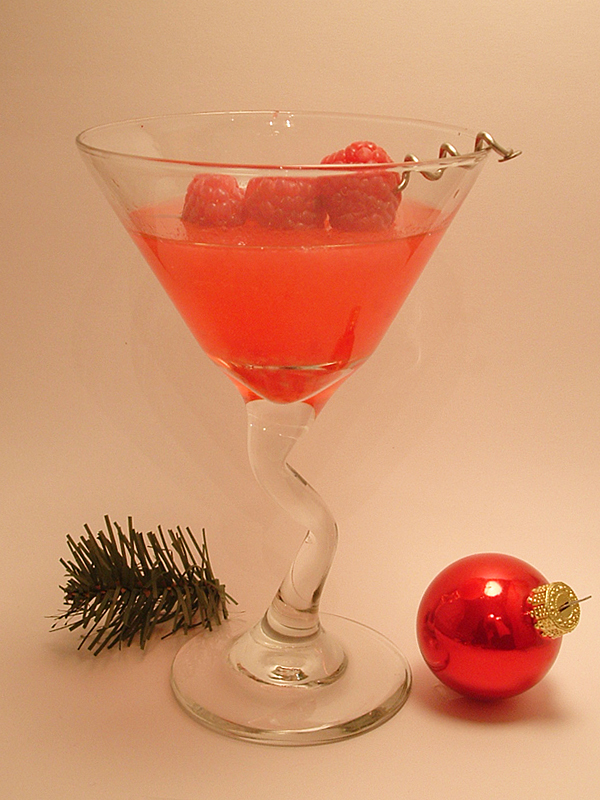 This recipe comes from the 2010 LCBO Holiday Cocktail selection and provides a great opportunity to use raspberries in a delicious holiday-looking drink. Enjoy! Combine the raspberry vodka, lime juice and simple syrup in a cocktail shaker half-filled with ice. Shake vigorously, then strain into a chilled martini glass. Add 3-4 raspberries as a garnish.